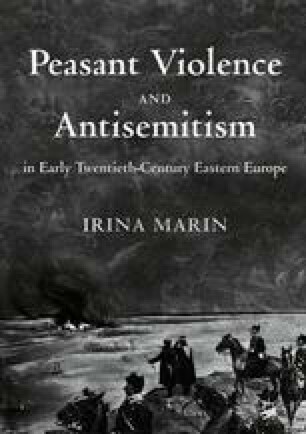 This is a book about the 1907 peasant uprising in Romania but also the study of a frontier. The uprising provides the case study; the frontier provides the perspective. This moment of existential crisis in the life of the fledgling Romanian state is presented as multiple flows of information percolating and refracting internally, through the social strata, and externally, across borders. The author looks upon the three sides of the border (four, if one takes into account that Austria-Hungary was de facto two states) as distinct media with different potential for refraction and reaction. The book aims to offer a narrative structure of concentric circles starting with the spread of the uprising in Romania, the background to it and moving on to its reverberations across the triple frontier among the local and regional authorities, in the press of different colours and affiliations, and in the diplomatic exchanges of the time.